Eternal Haunted Summer: You recently wrote both the introduction and an essay for The Goddess in America: The Divine Feminine in Cultural Context (Moon Books). How did you come to write the introduction, and why did your essay focus on (non)appropriation? Jhenah Telyndru: I was deeply honored to be approached by Moon Books Publisher and Editor Trevor Greenfield to write the introduction to The Goddess in America; I’d written for several of his anthologies in the past as well, and I am always excited for the opportunity to work with him and with Moon Books. I decided to write “The American Dilemma: Engaging in Non-Appropriative Pagan Practice” as my contribution to the anthology because it is an important conversation for American Pagans to be having on several levels. First, as Americans it is critical for us to recognize the impact our cultural heritage has had on the First Nations peoples of North America, and for white Americans in particular to understand the imbalances created by our privilege. To assume that native teachings, tools, and symbols are ours for the taking is an extension of colonialism, especially when things are presented out of cultural context and without permission by non-native people who are in some way profiting from these teachings. Second, it is also true that culture is a thing that is practiced, not something that is passed down in our DNA. When an American says that they are Irish, in the States we understand that to mean that they are of Irish decent, but to an Irish person, it sounds ridiculous for someone who was not born in Ireland nor has lived in Ireland to call themselves Irish. It is the combination of these two things that lies at the heart of the American Pagan dilemma, as I see it. As a first generation American of Italian descent, I am keenly aware that even though I may have more connections to the “old country” and its traditional practices than most Americans, I am still not culturally Italian. To complicate matters in my own Pagan practice, I have not been called by the divinities of my Italian heritage but rather by those of the Celtic Britons. While some Americans feel that being genetically “connected” to a culture is all that is needed to lay claim to it and its divinities, having been many times to the British Isles and having built relationships with the divinities of that land, I know that not only is a genetic connection not required to work with a particular pantheon of Gods, it is also not enough. I have been asked by British Pagans why I simply do not follow the Gods of my own land — a question which underscores the fundamental dilemma. The Gods of the land where I was born are those of the First Nations people, and not only am I not a part of any of these indigenous cultures, I also do not have a right solely by dint of birth to participate in their religious practices. On the other hand, the indigenous practices of the land of my genetic heritage are also not necessarily open to me because I do not live in those lands and do not participate in the same culture. What then is the middle ground? For me, it comes down to this: culture is a practice; it is something in which one participates, and is not tied solely into one’s blood nor one’s location. The way that I have found to participate in the culture of the Welsh, the modern-day descendants of the Celtic Britons, has been through study (I earned my MA in Celtic Studies from the University of Wales); through seeking out the perspectives and honoring the opinion of those who are culturally Welsh; through encouraging others to research and learn Welsh cultural forms like language, music, art, and traditional crafts; and by seeking out ways to give back to the culture which has inspired my spiritual practice, for example, by donating to Welsh heritage foundations like CADW, and hiring local teachers when bringing pilgrims into the sacred landscape of Wales. Over the years, I have learned a lot about the pain caused by cultural appropriation, and I think that most Americans are generally well-meaning, even if they might be thoughtless in how they approach spiritual paths outside of their own culture. It was my hope that writing a bit about my experiences and the ways in which I have sought to build cultural bridges rather than engage in even unconscious appropriation might help others question their own approaches in a constructive way. 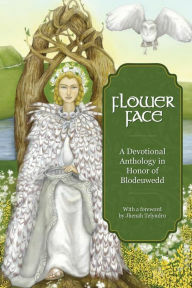 EHS: You also wrote the Introduction for, and oversaw the publication of, Flower Face: A Devotional Anthology in Honor of Blodeuwedd (Ninth Wave Press). First, why that Goddess? What drew you to Her? JT: The Sisterhood of Avalon honors five Welsh Goddesses in our tradition, and Blodeuwedd is one of them. We thought we would dedicate our first devotional anthology to her as she is one of the lesser-known divinities in our pantheon, and certainly among the most misunderstood. Blodeuwedd is a complex figure, from both a spiritual and mythological perspective, and she has gotten a lot of “bad press.” Her story is told in the Fourth Branch of Y Mabinogi: she is a woman made of flowers for the purpose of overcoming a tynged (generally, the Welsh equivalent of the Irish geis) laid upon the hero Lleu Llaw Gyffes by his mother Arianrhod. The tynged specified that he was forbidden from taking a wife from the race of women currently on the earth, so his uncle/foster father Gwydion and his great uncle Math use their magic to create Blodeuwedd to be his wife. After her marriage to Lleu, Blodeuwedd meets and falls in love with Gronw, the lord of a neighboring land, and the two of them sleep together three nights in a row while Lleu is not at home. The lovers depart after making a plan to kill Lleu so they can be together. Destroying Lleu turns out to be a difficult thing, and even though the couple met all of the requirements for killing him, including the creation of a magical spear over the course of a year and a day, instead of dying when struck with the spear, Lleu is transformed into an eagle. When he is restored to full health and is back in his original form, Lleu kills Gronw in the same place and in the same way he had himself been attacked by his rival, casting a spear through his heart. At the same time, Blodeuwedd is pursued by Gwydion who punishes her infidelity by transforming her into an owl — hated by other birds, and forever shunning the light. Obviously, having an illicit affair and attempting to murder one’s husband aren’t exactly the kinds of behaviors we would expect from a Goddess, but there are many layers of complications to this tale. A surface reading of the Mabinogi misses much; there are cultural references specific to medieval Wales, as well as story elements and symbols which potentially have their origins in earlier pre-Christian myths. Without being able to place the tales within these cultural contexts, a great deal of information goes unacknowledged, and warps the significance of the tale to modern eyes. Using these tools, my master’s thesis explored the love triangle of Blodeuwedd, Lleu, and Gronw in the Fourth Branch, and sought to prove that it was an encoded example of a Seasonal Sovereignty myth, wherein the Goddess of the Land granted sovereignty in turn to the Solar Hero and the Otherworldly Champion as a reflection of the turning of the seasons, and the Light and Dark halves of the year. I was able to deconstruct the legality of Blodeuwedd and Lleu’s marriage from a medieval perspective, draw parallels with other contemporary tales featuring similar seasonal symbolism coupled with love triangles, identify the presence of international folk motifs in the story, and place the social commentary within its proper cultural context. As you can imagine, this greatly changes how the story is read. One brief example has to do with Blodeuwedd’s marriage to Lleu and affair with Gronw. In the text, Blodeuwedd is never shown to give her consent to her marriage with Lleu, which is required by medieval Welsh law, nor had she any family to speak for her; this fact alone questions the legality of the union. Couple this with the fact that there were nine kinds of legal marriage recognized in Wales when this story was written down, and one of them was achieved by a couple sleeping together publicly for three nights in a row — which is exactly what Blodeuwedd and Gronw do at her court — and there is already a shift of understanding for the modern reader. Certainly, the contemporary medieval audience would have understood the subtext clearly, which underscores the importance of cultural context to obtain a fuller understanding of these stories. Even without these perspectives, however, a feminist reading of Blodeuwedd’s story reveals a powerful lesson for modern women: that when we seek to escape the roles and expectations thrust upon us by our families and by society, we earn true freedom and gain deep wisdom — for what kind of a punishment is it to be turned into an owl? I believe it to be a reflection of the wisdom gained by choosing one’s own path, even in the face of the expectations of others. We wanted to share this understanding of Blodeuwedd with others, in hopes that she can be a source of inspiration for those who truly wish to step into their sovereignty. EHS: How did you go about collecting submissions for Flower Face? Was it an open call or did you seek out specific contributors? JT: Initially, we kept our call for submissions within the Sisterhood; we wanted to be sure that the anthology was anchored by pieces which reflected our specific understanding of the nature of Blodeuwedd as a Goddess of Sovereignty, as well as share the ways in which building a relationship with her has catalyzed personal growth and spiritual transformation in the lives of real women. Once we had those, we cast a broader net and made an open call. Going forward with the rest of our anthologies, we have decided to make an open call for submissions, and will curate the pieces which are most in alignment with our understandings of these Welsh divinities. We will be focusing on Arianrhod next, another Goddess whose reputation is in need of some rehabilitation. EHS: The Avalonian Oracle: Spiritual Wisdom From the Holy Isle may be used as a both a divinatory tool and a “catalyst for spiritual growth.” What did you find to be the most rewarding aspect of developing the deck? And which was the most difficult? JT: The Avalonian Oracle is a project that has been more than a decade in the making, and it started its life as The Avalonian Tarot. I have studied tarot deeply for almost thirty years, and was excited to embark upon an iteration of tarot that reflected the energies and symbolism of the Avalonian Tradition. Some of the syncretisms were effortless, while other connections were very difficult to make. I grew frustrated with trying to force things to fit, and I felt that shoehorning correspondences would not honor either of the two systems I was attempting to marry together. I finally released my attachment to the tarot deck, and instead listened to the inherent internal consistency of the Avalonian Tradition and allowed that to guide me to a more organic structure for the cards — making it an oracle deck instead. This release was both the most difficult and rewarding part of the creation of this deck and book, because it required that I, too, relinquish control and listen … and trust. What flowed from there is worlds away from where it would have otherwise gone, and I am deeply humbled and grateful for the opportunity to present this deck and book as an oracular tool and teaching system, as well as for the trust that so many have given in return. I am also fortunate to have worked with Emily Brunner on this project; she is an incredible visionary artist who really got what I was looking for, and was truly able to manifest visually the vision I had for each of the cards that I could only share in words. JT: As I’ve mentioned, Ninth Wave Press has opened a call for submissions for “Silver Wheel: A Devotional Anthology in Honor of Arianrhod”; details can be found here. 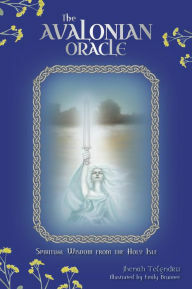 I have just completed a book entitled: Rhiannon: Divine Queen of the Celtic Britons as part of the Pagan Portals series published by Moon Books; I believe it will be published early next year. I recently signed a contract with Llewellyn Publications for my second book with them, the first being Avalon Within, and there will be another spoken word album of guided meditations to accompany this new book. I am working on a side-project with Ninth Wave Press to publish my master’s thesis this year; I’ve been tickled to see how much interest there has been by people wanting to read it! And finally, I am excited to be part of a music project with some of my SOA sisters. In the close to twenty-five years that the Sisterhood of Avalon has been around, many original songs and chants have grown out of the work of our tradition, especially as devotional offerings to the Goddesses we honor. We have recorded a portion of these, and they are currently being produced and engineered by the gifted and talented musician and producer, James Stone. (Full disclosure: he is also my partner, but that fact doesn’t detract from his musical talent :)). I am so looking forward to being able to share these beautiful and deeply personal sharing of Awen with my sisters and with anyone who loves Avalon, or feels drawn to any of the divinities with whom we work. As always, thank you for the opportunity to share a bit with your readers … and also, thank you, Rebecca! The devotional anthologies of Bibliotheca Alexandrina are what inspired the SOA to publish anthologies in honor of our Goddesses, so thank you for catalyzing that spark within us! There is something powerful about Pagans and Polytheists writing about our personal experiences and living relationships with the Gods of the ancients, in many ways reclaiming and recasting Them in a modern context, while also sharing pathways that can lead to authentic and lasting connections with Them.